UFC 206 takes place on December 10 2016. 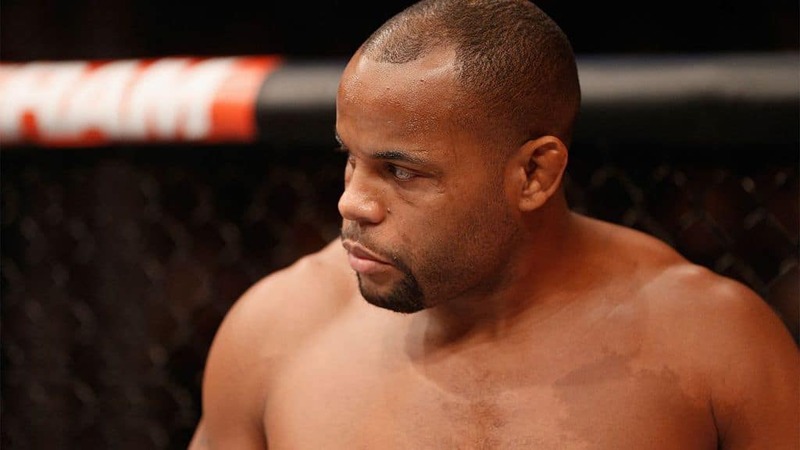 The main event is a rematch between Daniel Cormier and Anthony Johnson for the light heavyweight world championship. 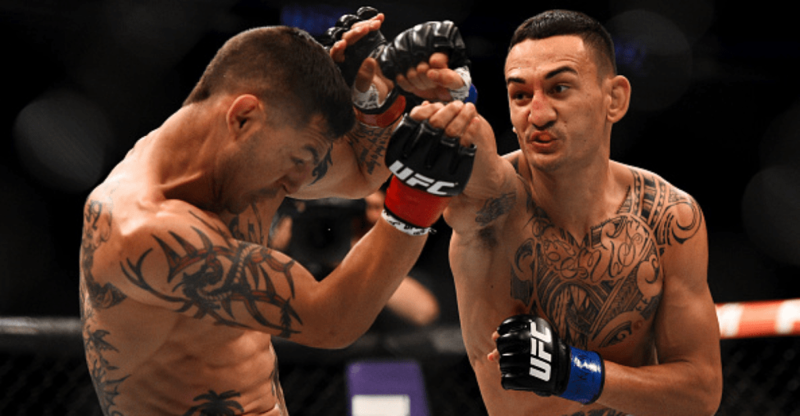 The co-main event features a mouthwatering matchup between Max Holloway and Anthony Pettis that is sure to have title implications. The rest of the card is lackluster in comparison to both headliners but that is to be expected on from a PPV card that is first up post UFC 206. This rematch between two of the 205 lbs. division’s elite level operators has a massive shadow looming over it. Jon Jones, despite his actions outside the cage and his recent brush with USADA, is still the rightful champion in the eyes of many. He never lost his title in the octagon and he defeated Cormier when the two fought back in January 2015 at UFC 182. This is unfortunate because the two men involved in this fight are as worthy as any who have contested the belt in question. There is a legitimate argument to be made that Cormier might be the best ever to partake in the sport of MMA besides Jon Jones. He was a two time Olympian, winner of the Strikeforce Heavyweight Grand Prix, King of the Cage Heavyweight champion and had impressed at heavyweight in the UFC before opting to make the cut to 205 in order to avoid fighting the then world champion Cain Velasquez, a man who Cormier fights in the gym on a regular basis and only a select few really know how those exchanges go. 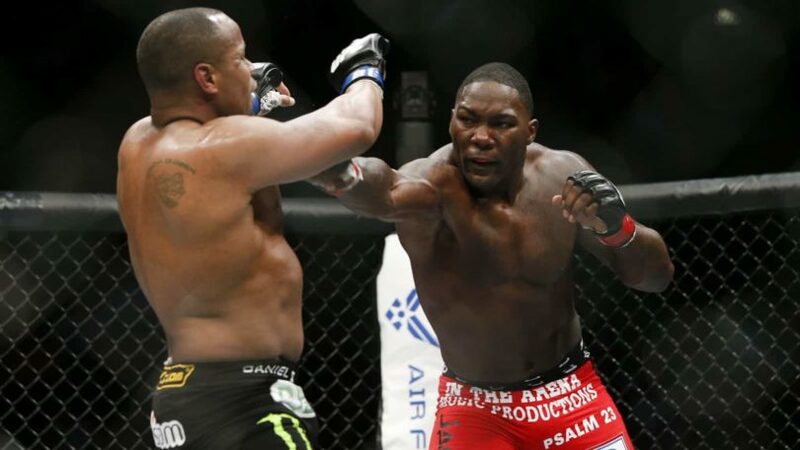 In the first fight Anthony Johnson was very close to capturing the title. He had Cormier seriously hurt but once the veteran weathered the early storm he drained the will out of “Rumble” and took a submission victory in the third round. Johnson is capable of winning any fight with the power he possesses but like many explosive, powerful fighters he runs out of gas – especially when he empties his eggs into one basket in an effort to finish a hurt opponent as he did the last time he faced Cormier in the octagon. He has impressed in his three outings since then and has had to take very little damage. Cormier, by his own admission, left part of himself inside the cage when he fought Alexander Gustafsson in his first title defense. DC faced a late replacement in Anderson Silva at UFC 200 and easily outwrestled the Brazilian who is long passed his best. He is no spring chicken, but one would have to think that Cormier is wily enough to avoid Johnson’s power shots in the early going this time around and use his Olympic level wrestling and ferocious pace to win the day once again. It is a dangerous game stepping into the cage with Anthony Johnson however. A fight between a former champion and a hungry up and comer who has been frustrated by Conor McGregor’s reluctance to defend the UFC featherweight championship and Jose Aldo’s contract dispute with the promotion. Indeed, this fight should be for the featherweight championship given that McGregor is now fighting outside the division for the third time since capturing the title and should have been stripped. Even if one accepts that McGregor is the legitimate champion at 145, there is still the issue of Jose Aldo and his posturing with the UFC. He is the interim featherweight champion but if he is retired then surely this fight between Pettis and Holloway has as much of a right to be an interim title fight as Aldo vs Edgar had back in July at UFC 200. But it now appears that Aldo has opted to stay in the fight game, leading many to believe that this whole saga was about money rather than anything else. Holloway has been on a tear of late. His last loss was against Conor McGregor back in 2013 and he has since gone on a nine fight winning streak, beating notable opponents such as Jeremy Stephens, Cub Swanson and Ricardo Lamas along the way. Pettis has lost three of his last four fights but finds himself in the title mix due to the lack of big names in the division and his pedigree as a former WEC and UFC lightweight champion. He has had some personal difficulties recently when arsonists targeted his family home. 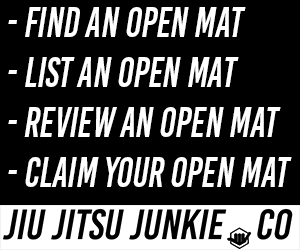 Whether that has interfered with his preparation remains to be seen but it is certainly not an ideal situation, particularly when coming up against an angry, hungry and highly skilled opponent looking for his tenth straight win. Before both these fights take place Valerie Létourneau takes on undefeated Viviane Pereira and will be anxious to make a statement after suffering a brutal beating at the hands of Joanne Calderwood. The loss was disappointing for Létourneau given that she had earned high praise for her losing title effort in her previous fight. Cub Swanson will look to make it three wins in a row having looked like he was in decline having suffered two submission losses. While the card might be short on names and star power the likes of Moraga, Makdessi and Khabilov are worth watching. Don’t be surprised if the performances of the night come from this bunch.